:Can you find the tigers? Can you find the rainbow? Children will love lifting the flaps and seeing what's underneath! 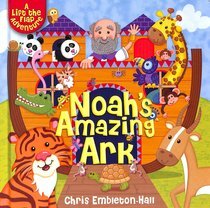 Cheerful, vibrant artwork and sturdy flaps make this interactive version of Noah's story perfect for little ones.